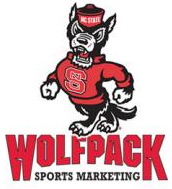 When I checked gopack.com Saturday morning alongside the story about Coach Kay Yow's death was an advertisement for her Hoops for Hope game on February 15th. At first it seemed inappropriate…wish someone would pull the ad…but no…Coach’s courageous battle with cancer and that basketball game stand together. That was reinforced a couple of hours later when the mail arrived. There was a flyer for the game in our Time Warner bill. Hoops for Hope was everywhere I turned, and I’m confident Coach Yow wants it that way. 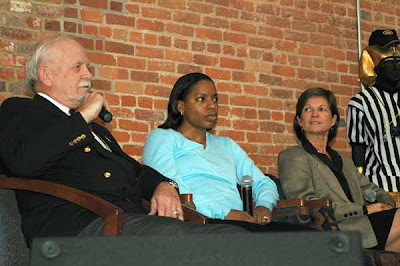 When we first proposed the idea for the game, we didn't know if Coach Yow would want to put herself out there as the face of this disease when she had so many battles to fight on her own. Most people want to quietly fight these battles far from the limelight but Coach Yow never hesitated. I'll always remember Coach Yow telling me that she had been searching for some way to "give back" and she felt this game would be a way she could give hope to others who were fighting their own battles. She felt the name of the event said it all..."Hoops for Hope." Its purpose was to share hope for a better tomorrow, for more research, more education and hope for a cure. So many things eventually developed from those early days of "Hoops for Hope". Kay's former players embraced it and took it to another level by suggesting to the WBCA that this should be a nationwide cause supported by schools all across the USA. That led to ESPN's involvement and more than 900 schools conducting events at games to raise funds for breast cancer programs. From that nationwide initiative came the Kay Yow WBCA Cancer Fund, which will ultimately be Coach Yow's lasting legacy. Indeed, Coach Yow is a legendary basketball coach, but her charisma was a captivating combination of her gifts and values. She was a competitor and motivator. A caring, loyal person. A truly gracious human being. A woman of great faith. 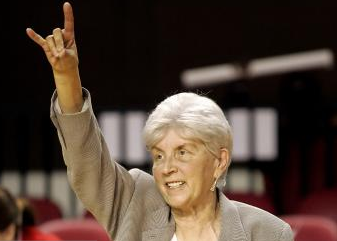 A hoops luminary whose legacy even eclipses the game she so loved. And everyone loves Coach Yow! Olympic contenders have much to teach us about navigating the recession. It’s an ATTITUDE + INTELLECT = SUCCESS sort of equation. Karen says successful people have a passion for what they do. Nadine suffered a stress fracture training for the Beijing games. Jim says you have to find a way around your challenges. Look for a new approach. Regarding the economy: “There’s a big barrier out there, but everybody else has that problem, too. Find a different way to do things. Don’t think this is the way we’ve always done it." Thanks to my co-worker Andrea Osborne for sharing the photo and her notes. Downtown Durham’s revival is a thing to behold. When I began working at the Durham Bulls Athletic Park nine years ago it was a lonely place in the off-season. Our neighbors were the abandoned, seedy Lucky Strike factory and the City’s bus depot, an urban eyesore. Thousands of pigeons resided in the abandoned mill, and they routinely "bombed" the ballpark (if you get my drift.) Homeless folks would knock on my Blackwell St. window soliciting support, and I usually drove a couple of miles to Subway for lunch. What a transformation in under a decade! The old tobacco factory is now the American Tobacco Historic District, a campus of about fifty companies with three thousand employees, five restaurants and loft apartments. 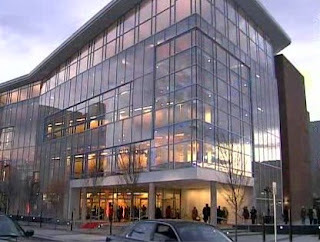 The bus lot is the brand spankin’ new Durham Performing Arts Center. 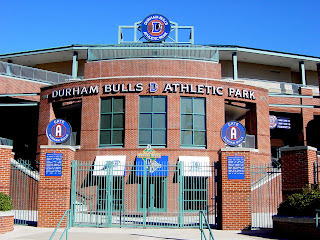 The City of Durham placed a controversial bet in the early 1990’s when it decided to build our $16 million ballpark. (The DBAP opened in 1995.) Over time, however, the Bulls’ success emboldened City leaders to make an even greater public investment in downtown that helped to engender this remarkable revival. Downtown Durham Inc. keeps a running total on the public investment that’s currently pegged at $315 million, and those taxpayer dollars have been leveraged to produce $820 million in private investment - over a billion dollars! You are cordially invited to visit us at the American Tobacco Historic District and Downtown Durham!